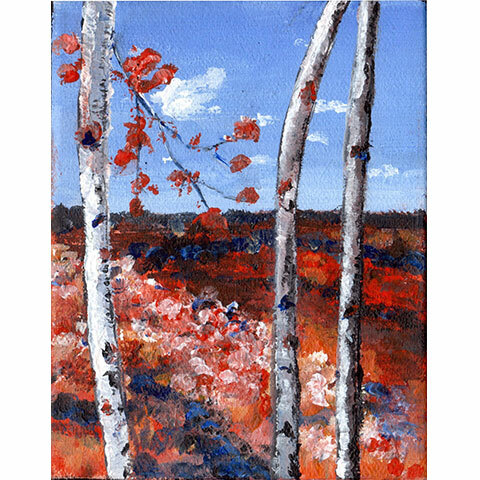 Original (sold): 8" x 10", Acrylic on a framed canvasboard. We like taking walks in the woods wherever we find ourselves. 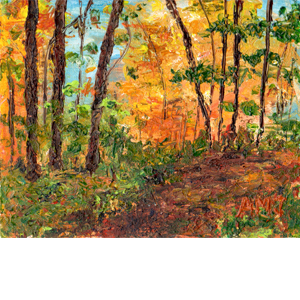 This painting was inspired by a fall walk in Komoka Provincial park in Ontario. This painting was mainly done using a palette knife. I really love thick paint and like the texture acrylics allows you to have.